The new book follows Guy's “wags to riches” tale. From Queen Elizabeth's famous corgis to Lupo, the beloved dog of William and Kate, the royal family's pets have always captivated the public. (Mark Cuthbert/UK Press via Getty Images) Catherine, Duchess Of Cambridge is seen with her dog Lupo at the Tusk Charity Polo Match at Beaufort Polo Club near Tetbury. 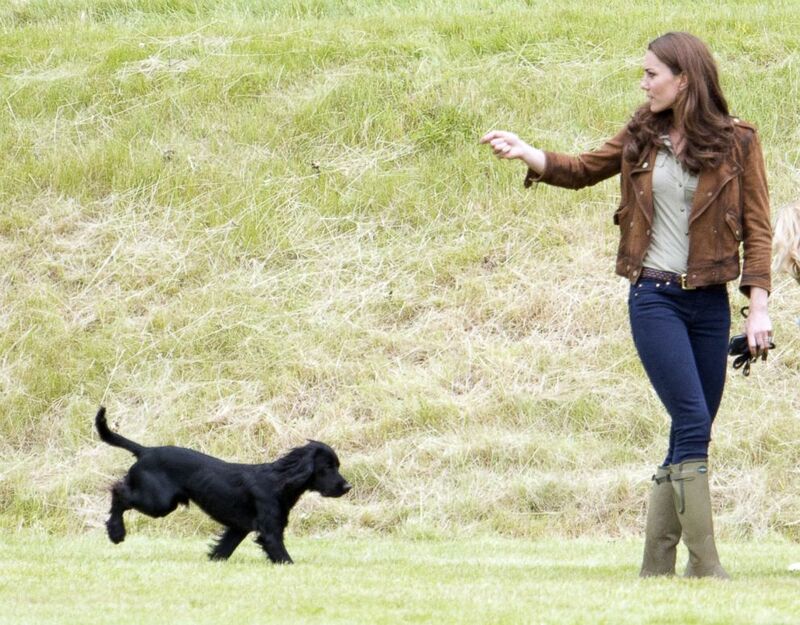 Now there's another royal pup taking a star turn. The Duchess of Sussex Meghan Markle's adorable 17-pound beagle, Guy, is getting his own place in the spotlight after being rescued from Kentucky. A new book, "His Royal Dogness, Guy the Beagle: The Rebarkable True Story of Meghan Markle’s Rescue Dog,” tells the story of the royal rescue. 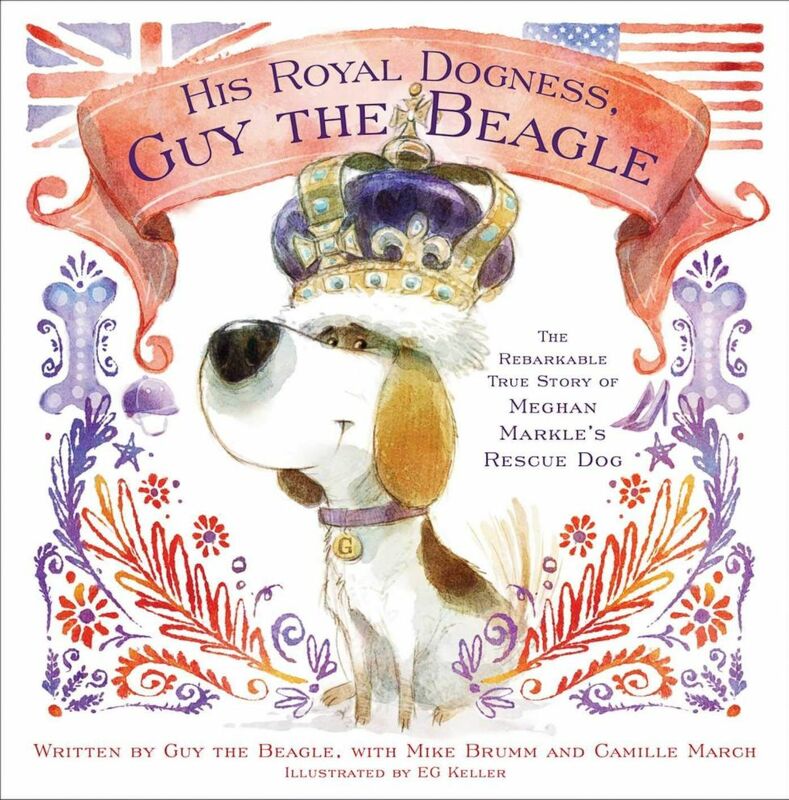 (Amazon) His Royal Dogness, Guy the Beagle: The Rebarkable True Story of Meghan Markle's Rescue Dog. The book, which is not affiliated with Meghan or the palace, follows Guy's “wags to riches” tale, according to its synopsis, revealing “how he went from pawper to proper." The royal pooch even scored a byline on the book with its human authors. It will to be released in November. Meghan's beagle Guy, who was spotted in Queen Elizabeth's Range Rover at Windsor Castle ahead of the couple's big day, was at Meghan's side as she prepared for the May 19 wedding. "We had breakfast. Guy, her dog was with us. We were playing around with him," Daniel Martin, Meghan's longtime makeup artist and close friend who did her wedding-day makeup, told "GMA" last month. "It was a very chill morning ... her mom was there, which was amazing." When Harry and Meghan announced their engagement last November, the couple revealed that Meghan had charmed Queen Elizabeth's corgis right away. "I've spent the last 33 years being barked at, this one walks in, absolutely nothing," Harry said of her first encounter with the queen's corgis, saying the pups were "just wagging tails, and I was like, 'Argh.'" Meghan added that some of the dogs were "just laying on my feet during tea. It was very sweet." Meghan and Harry recently adopted a second rescue dog, a black lab, who has joined Guy and Lupo at Kensington Palace. 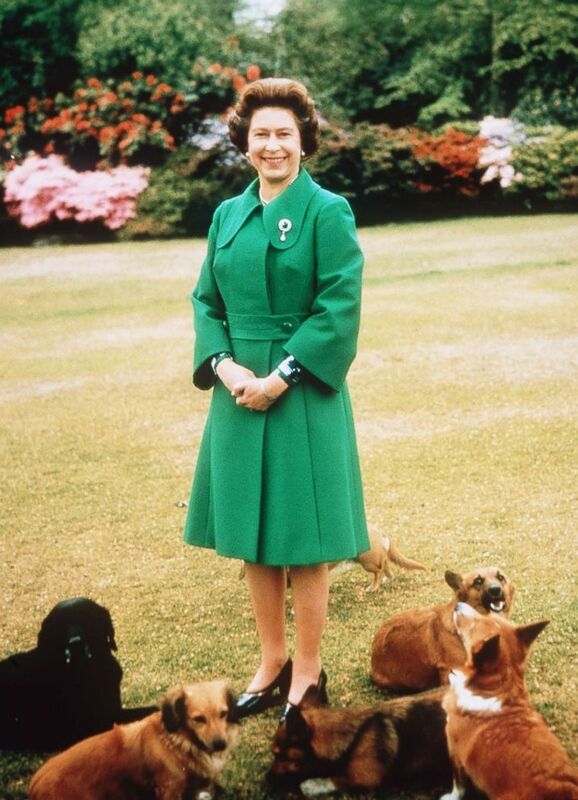 (Anwar Hussein/Getty Images) Queen Elizabeth II relaxes at Sandringham with her corgis.